She was also the winner in 1994 of the 2 year old class at the Spring Show in Ava. She showed one more time early in the year at Bolivar and won the 2 year old class. 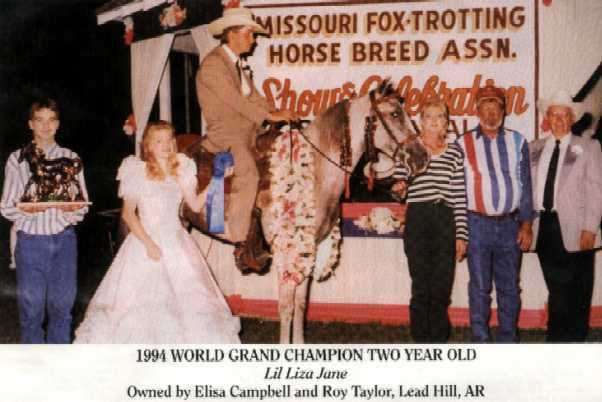 and the World Grand Champion 3 year old Ladies Class. 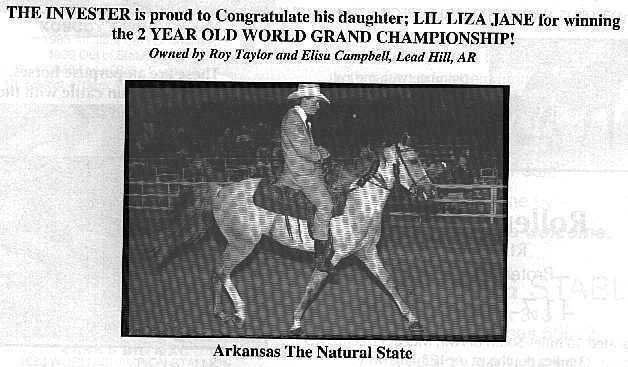 In every class she was ever shown in she received all straight FIRSTS from the judges.